So of course we've got his crocs on my middle and pointer fingers. Then I freehanded a chef coat on my ring finger, with a bit of negative space, and striped accent nails on my pinky and thumb to represent a patterned apron. I personally find these nails hilarious. I love when nail art is a bit cheeky! What do you think? Too much, or just enough? I love it!! I watch Food Network all the time. Such a creative idea! Ha, this is awesome! 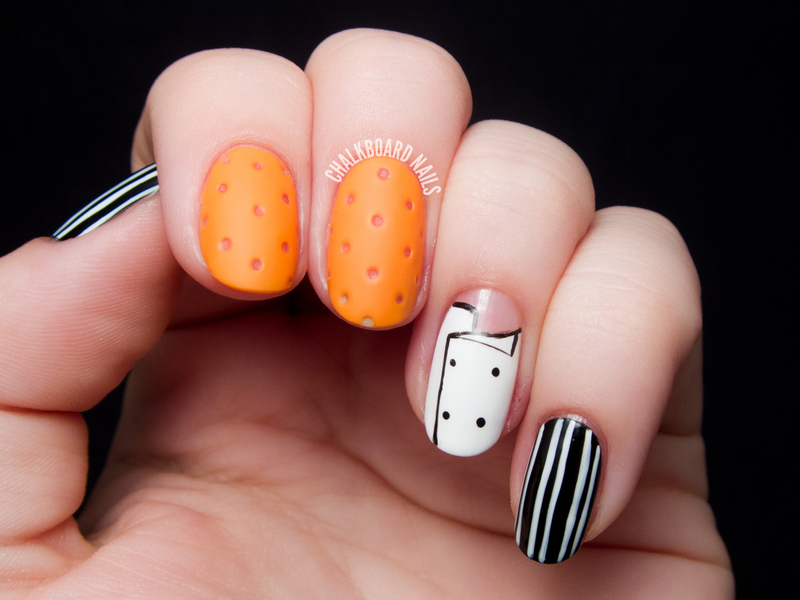 Very creative take on orange nails! You are one of the most creative nail artists ever! I just can't, even. Ohmahgah. So adorable!!! I love crocs...they actually make dress shoes that are comfy! 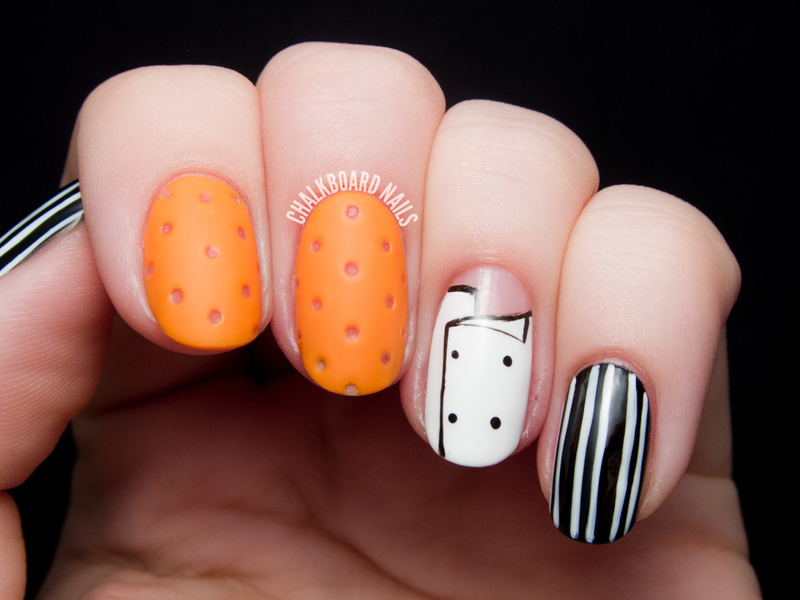 This is such a clever mani....I always love your stuff!! Hilarious! I love this mani. 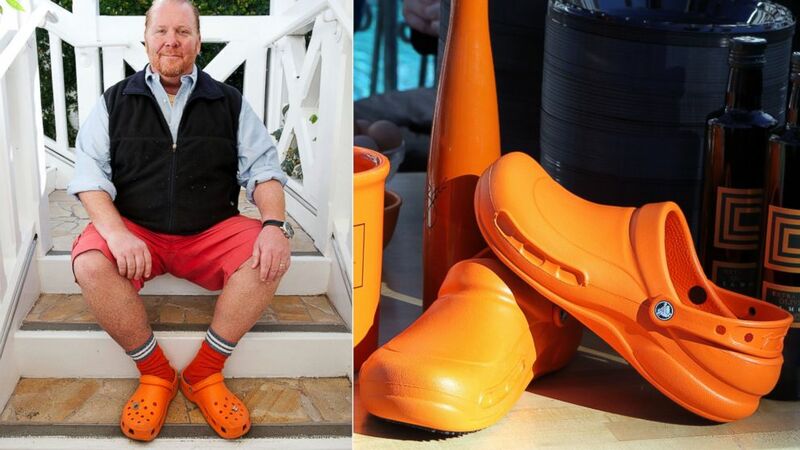 Mario Batali is due here in Columbus Friday. I should try and go try to meet him! So clever and funny, and of course, brilliant execution! What a great inspiration. I hate Crocs, but your nails are awesome. I totally agree with Karishma there, you are one of the most creative nail artists ever! 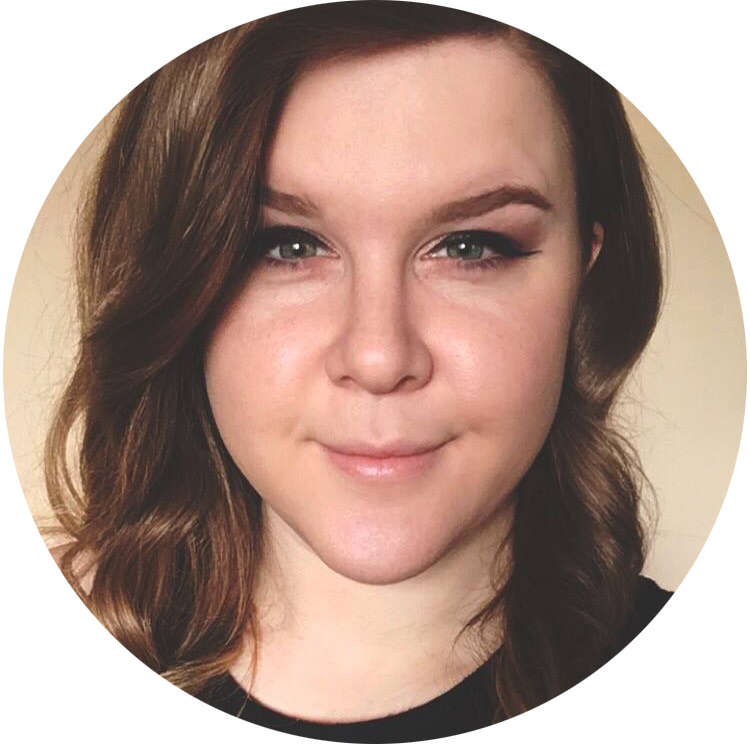 You convinced me to join the challenge, up to now it's quite ok... I'm managing... let's see later on. 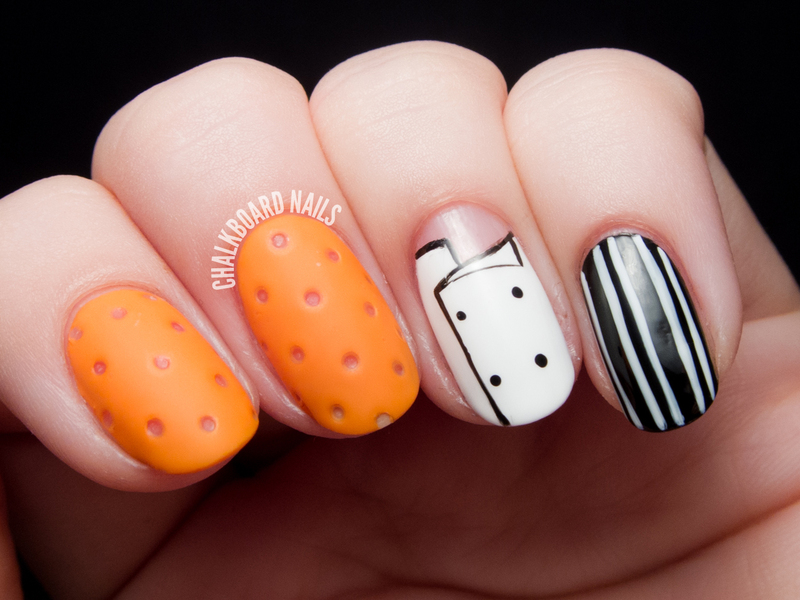 I don't know who is Mario Batali, but I L O V E your orange nails! You are SO creative!! These are the best - I looooove how you can translate anything to your nails!